Nine naughty newts gnaw on Nellie's necklace in New York. 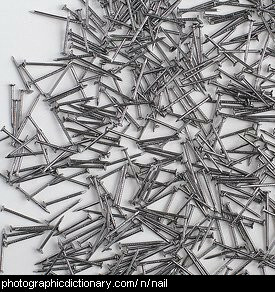 Nails are small pieces of metal with one sharp end and one end that is flat. You use nails to stick things to other things, like nailing a piece of wood to another piece of wood. You use a hammer to hit the flat end of the nails with to push them through something. Nail varnish, sometimes called nail polish, is a kind of special paint that you put on your fingernails or toenails to make them look pretty. 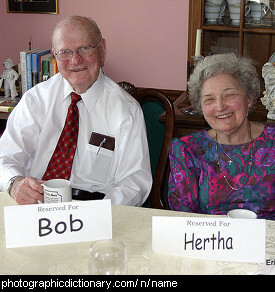 A gap between two things is narrow if the two things are quite close together and there is not a lot of room between them. 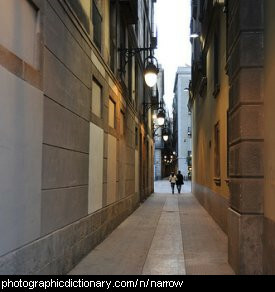 The street in the picture is very narrow. The opposite of narrow is wide. 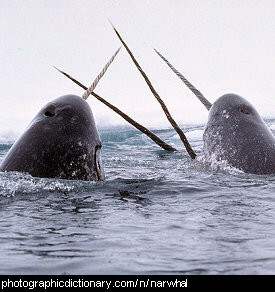 Narwhals are a kind of medium sized whale that has a long tusk growing from the middle of their head, like a unicorn's horn. They live in the northern part of the world, in the arctic waters. Nasturtiums are a common plant grown for their pretty flowers. 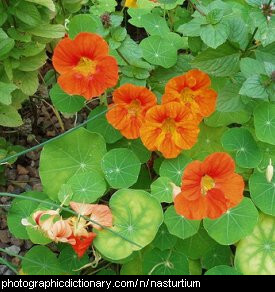 Nasturtium's leaves and flowers are edible and can be used in salads. Nasturtiums attract good insects to the garden and repel bad ones like some caterpillars and are often grown as companion plants around a vegetable garden. Some people call a kind of watercress a nasturtium. 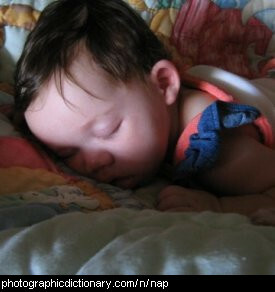 Nausea is a very bad sick feeling in your stomach, like you want to vomit. 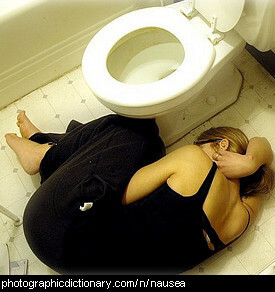 People generally get nausea when they are pregnant, have food poisoning or other poisoning or when they are sick. 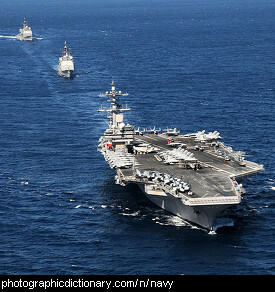 A Navy is the armed forces of a country that operates on water, such as on the ocean.